Aikatsu! – 177 | Mezashite! Up until now, how many times have I called an Aikatsu episode penultimate? But this is it, the true second the last episode. It’s been an amazing ride, but it’s too early to get sentimental. I’ll see you all right back here soon for our final farewell. And in about 11 hours, the raw download of episode 178! Typo at 12:16. Juri is third place, but it says fourth. 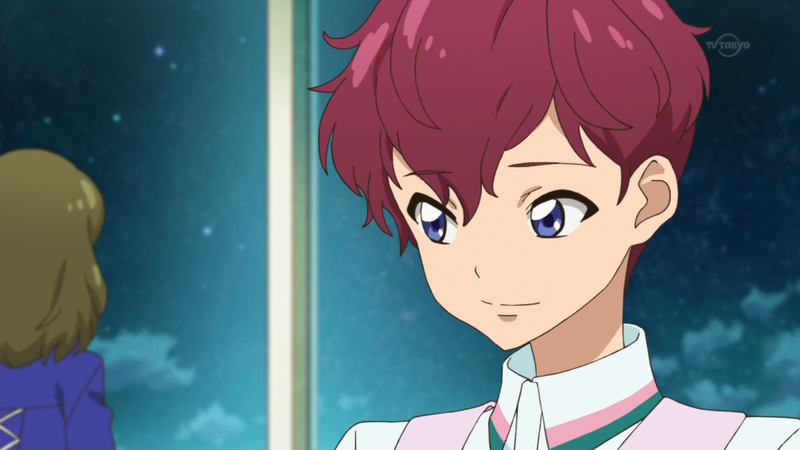 Oh… I am not ready for the final episode of aikatsu. By the way, thanks for this episode. I really was waiting for this. But what do you mean by farewell? You’re not gonna sub Aikatsu Stars! or the Aikatsu! Music Award: Minna de Shou o Moraccha Ima SHOW! ? Why are they ending Aikatsu!!!!???? There are still more idol activities to be done by them! Is the group subbing the new Aikatsu anime? They’re going for Aikatsu Stars! as a sequel….I guess!! it’s starting after one week from Aikatsu! ending. will you do the Aikatsu! Music Award – Minna de Shou o Moraccha Ima Show!?? I don’t want to hear you bitching all through Stars, you got that? Though you clearly know where your home is, and I hope you enjoy their presence. Oh man, it’s almost that time again, huh? Question, when is the new season starting? Sorry to rain on your parade, but there is nothing to indicate that the new Aikatsu takes place in the same world/dimension as the original. The academy for one has a completely different name and structure. Anyway talk of that show should probably go in a different thread than the ones for the original series. There’s also nothing that I’ve seen to indicate it’s not just another idol academy elsewhere in Japan. Considering there’s the name connection, and as far as I know the card sets for both series are similar, I doubt there’s a complete disconnect between the two. But we shall see soon enough. And my comment was related to Aikatsu more than Aikatsu Stars, but was hardly the only time Aikatsu Stars has been mentioned here since there are no separate Aikatsu Stars pages yet. I just hope we’ll see some more of the Starlight Academy girls once in a while, 3½ years of Aikatsu is a little hard to go cold turkey on.